You work in HR. One of the key responsibilities for you is Hiring. Daily you live through the difficulties of scheduling phone interviews and the even more complex face to face interviews with multiple Interviewers. You want to make sure that interviews don’t get delayed because you know hiring the right people at the right time is key for your company’s success. But, at the same time you want to make sure that your interview panel is not overly burdened. It takes multiple emails and calls back and forth to finally arrive at a date and time that works for all parties. It is one of the most frustrating and time consuming part of the job. Let me show you how you can schedule one on one interviews typically used for initial phone screening. 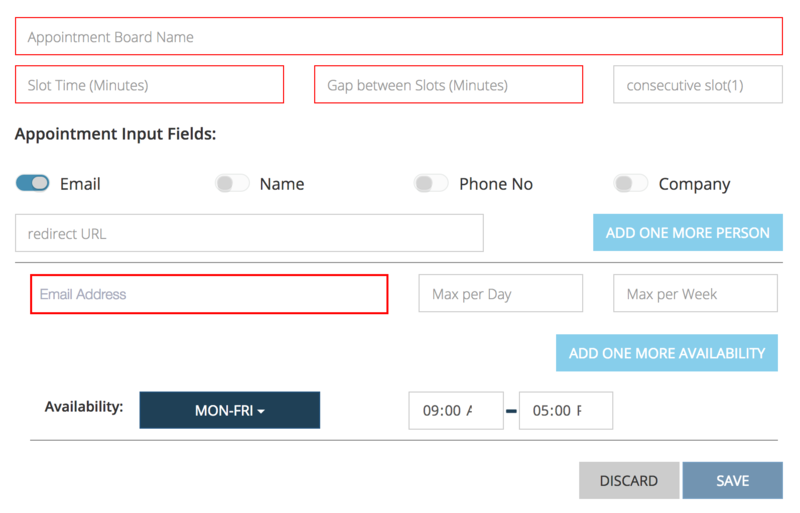 Once you have set this up, your candidates can pick a time that works for your interviewer and directly schedule the interview meeting; without multiple emails and phone calls. So, lets get into the setup part. Add the email addresses of the folks who can do this interview, and their availability and constraints (max per day and week). Now every-time you need to schedule an interview with a candidate just email this URL to the candidate, and ask them to pick a time of their choice and directly setup the meeting with your interviewers. The application will pick the most optimal interviewer from the list of people you added and will make sure that all the constraints and availability are adhered to and that there are no conflicts with any other meetings. Let’s take an example: Say you are hiring an inside sales person. You have John, Mary, and Smith as possible interviewers who can do the phone screen. So create this interview board and add all them. Now you can add their time preferences (different for each interviewer). So John can say I would take these calls between 10:00am-12:00pm any weekday. Mary could say I can do anytime between 2:00pm-5:00pm on Monday’s and Thursday’s or anytime between 9:00am-12:30pm on Tuesdays and Wednesdays. Smith can have some other preference. You get the picture. Additionally, each of them can also say that I don’t like more than N calls per day and more than M calls per week. Now, when its time for the interview, your interviewers can also use the Wizergos Shared Screen to run effective interviews if its a remote meeting. 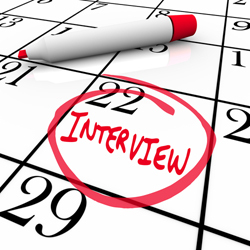 To see how you can schedule face to face interviews with multiple interviewers click here.